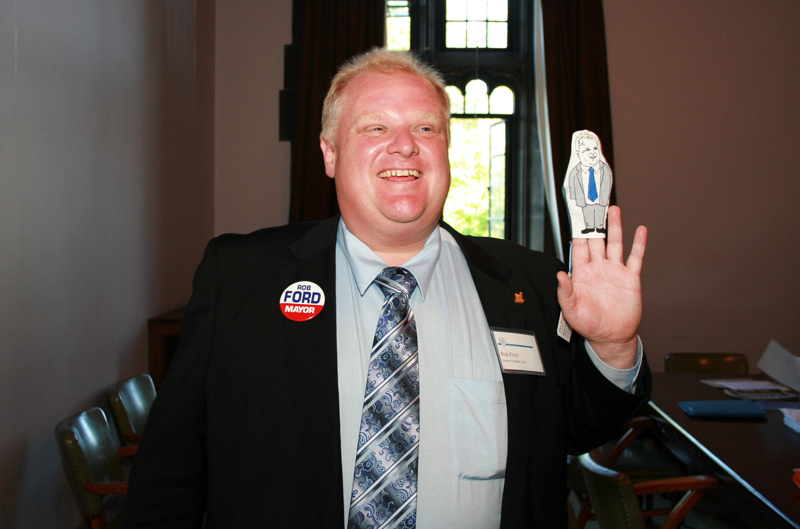 It’s very difficult to forget the name Rob Ford. The Toronto mayor has been the top story in the news since Oct. 31, when Toronto Police claimed to be in possession of the infamous video which showed Ford smoking crack cocaine. In a press conference on Nov. 5, Ford did not resign, despite the demand from both politicians and citizens. Public figures need to be vigilant with what they do in their personal lives because they are under constant surveillance by media, and under rigorous scrutiny by voters. Private lives of politicians should be kept separate from how one views them. It’s important to think of them based on how they handle issues in office and try to work for a better society. The Lewinsky scandal, where former United States’ president Bill Clinton admitted to having sexual relations with a young woman working at the White House, is a good example. Despite the fact that Clinton lied when allegations were first being made, he eventually admitted to the problem and corrected his lifestyle, unlike Ford. Clinton continues to have a positive and successful life in politics despite having undergone a scandal is his personal life. However, the main issue is not the video of crack cocaine use. It’s also the way Ford has handled the scandal, and the lies he has told. Speculation of Ford smoking crack cocaine first surfaced back in March of this past year and was allegedly confirmed by various news outlets in May, but no video had been released to the public. Ford kept denying he had ever smoked crack cocaine all throughout the summer. The story eventually got pushed to the side, but not for long. Ford was again spotted at a party in August, extremely belligerent and intoxicated. In 2006, he was at the Air Canada Centre in Toronto watching a Toronto Maple Leafs hockey game when he began insulting a couple behind him. He was clearly intoxicated, and was escorted out of the building by security. When asked about it a couple days later, he denied ever having been at the game. It seems that every time something new about Ford’s personal life makes it into the news, he explicitly denies it. He often finds himself caught in a web of lies and he shows no signs of slowing down. Is it possible that he doesn’t realize his personal life is severely affecting his credibility? When your personal life starts affecting your political life, the obvious decision is to deal with the issue. In this case Ford has decided against that, and has not resigned. That’s what I see in Ford — someone who doesn’t seem to care all that much about his political life based on the fact that he hasn’t made any effort to change his lifestyle. People expect their politicians to be honest with them. How can they expect a blatant liar to do a good job of transmitting the truth?